Teeth tend to wear and naturally destroy as we age. When all or most of the teeth are destroyed it is better to extract them and use a dental prosthesis as a replacement. Dentures are fixed or removable dental prostheses which replace lost teeth. They are designed to fill the gaps created by missing teeth and take up their functions. They mimic the appearance of natural teeth and have artificial gums which are supported over natural soft tissues in the oral cavity. 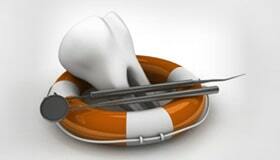 As a traditional tooth replacement appliance dentures have been used by dentists for many decades now. At our dental office, we provide a number of teeth replacement options for our patients. Our dentist works with patients to understand their needs. We helped and restore smiles of many people from Cathedral City, CA. There are a number of types of dentures we have at our dental practice. Implant supported dentures have been one of the most effective teeth replacement appliances from our office. Advanced dental technology has allowed dentists to provide patients with immediate dentures. These dentures take few hours for preparation and patients can restore their smile on the same day. Patients do not have to be teeth less even for a day. The dentist takes impressions of leftover teeth and gets the dentures prepared in the lab. Teeth are removed and the new dentures are fit in the oral cavity on the same day. The disadvantage with this type of denture is that they have to be relined after few months. The gum tissues tend to restore over a period of time which can loosen the dental prosthesis. 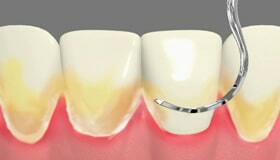 Implant supported dentures are more stable when compared to removable dentures. 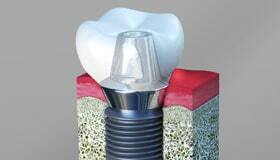 The implants dentist in Cathedral City CA surgically places a number of dental implants in the supporting bones. 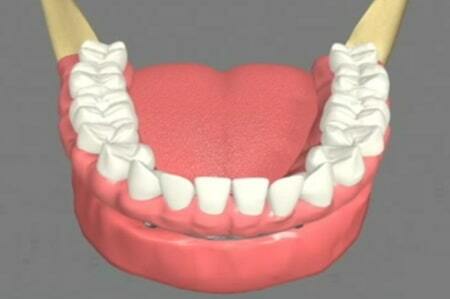 These implants carry the dentures which can be removed only by the dentist. Thanks to the support of dental implants, these dentures do not tend to slip or move within the oral cavity. They cause minimal discomfort to patients. The patient can feel more confident when having food. 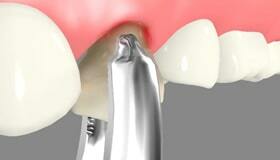 The patient has the option of choosing between the removable and fixed type of implant supported dentures. Normally, patients who have a healthy bone to hold the implant can choose fixed dentures as a permanent replacement for lost teeth. The fixed type is also called a full-arch fixed bridge. Oral care and hygiene play a crucial role when living with dentures. The gum tissues are prone to infection when living with this dental prosthesis. Therefore it is absolutely necessary to maintain hygiene habits to stay healthy. Some types of dentures are removable and some types are fixed. Irrespective of the type, our dentist takes time to explain how to clean the dental prosthesis. Dentures can be cleaned using a toothbrush. There is special toothpaste available on the market for cleaning dentures. A removable prosthesis can be kept in warm water and cleaned thoroughly before it is worn back. Patients should take care not to let the dentures fall down. 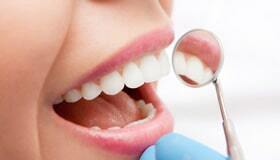 Regular dental visits can help them stay updated good oral practices. Smiles Guru dental practice is one of the best places for dentures treatment in Cathedral City, CA.